First Family by Josheph Ellis | What Would The Founders Think? Despite personal and political tribulations, John and Abigail’s devotion to one another, to their children and their country, remained resilient and unshakable. The recent book, First Family, by Joseph Ellis, provides an intimate look at this perfectly matched pair. Joseph Ellis is not the first historian to draw upon the Adams’ prolific correspondence, but he is the first to provide such an intimate view. If Queen Victoria and Prince Albert are the British version of enduring love, Abigail and John Adams are America’s. John Adams’ diaries reveal a young man driven by ambition to make his mark in the world. Introspective by nature, he was beset with self-doubt because he understood that vanity and a tempestuous nature threatened his grand designs. Abigail was raised to be a conventional New England wife, to run a household, bear and educate children, and help further her husband’s ambitions. But Abigail had a mind and opinions of her own and a stubborn streak strong enough to overcome her mother’s objections to her choice of John as husband. Abigail was John’s intellectual equal, the better writer, and most important, the balm to soothe his internal storms. Ellis suggests that Adams’ struggle to impose balance on his volatile personality may have contributed to his political philosophy and its emphasis on the need for checks and balances in government. Such occasional forays into psychology, to explain motivations or cover periods in which the correspondence was thin or non-existent, are either illuminating or annoying, depending upon the reader’s point of view. Since the author always distinguishes between his suppositions and the facts, it’s up to the reader to accept or reject them. For the most part, this reviewer found them an interesting addition rather than a detraction. Although the author is clearly an admirer of both Adamses, it is John who is given center stage. It could not be otherwise, for he played a pivotal role in creating the new nation and in shepherding it through its formative years. John understood, before most others, the inevitability of the break with England. As early as 1764, John was writing essays suggesting, “The disagreements between the American colonies and Great Britain were deeply rooted in two fundamentally different historical experiences, and therefore were probably irresolvable.” In his view, the political culture of the old world was rooted in coercive forms of government, and the new in political and religious institutions based on the principle of consent. Adams made the case for American exceptionalism long before that term entered the national vocabulary. The Adams’ correspondence also provides a glimpse of the well-crafted prose of 18th century letter writing. As the author points out, John was fully aware that he was writing both to Abigail and to posterity. No doubt he sought to leave a record of that momentous period in the nation’s history, but he was equally determined to assure his own place in that history. In John’s absence, Abigail managed the farm and four young children ages 2-9, dealt with a small pox epidemic by having the children inoculated, nursed them through their subsequent (quite serious) illnesses, bore a still-borne child, and was within striking distance of the British Army in Boston. The author’s admiration for John does not prevent him from pointing out that more than patriotism was involved in his decision to remain in Philadelphia, despite Abigail’s obvious need for him at home. Riven by guilt for failing to fulfill his obligations as husband and father, he continually questioned his own motives: was it ambition or patriotism that kept him in Philadelphia? Ellis explains that John’s ideological convictions were more radical than the majority of delegates, but he was a cautious radical. The goal of the majority was reconciliation, not division. 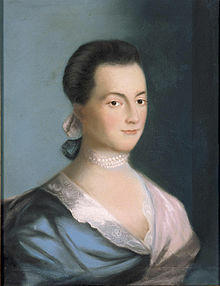 “The entire Massachusetts delegation, John included, were seen as dangerous radicals.” In a letter to Abigail John writes, “We have been obliged to act with great Delicacy and Caution, to keep ourselves out of Sight, and to feel pulses, and Sound the depths—to insinuate our Designs and desires by means of other persons.” In the end, however, George the Third would make John’s case for him by deciding to crush the American rebellion by force of arms. Although her more famous letter is the one urging that women’s rights be part of the new code of law, Abigail’s prescient questions predicted the debate that was to occupy American statesmen throughout the postwar years. Although she was tethered to the farm and children, her mind ranged far beyond them to the events and personalities that John described. John’s role was key before, during, and after the war. Unfortunately for his desire to be remembered by posterity, his contributions were either eclipsed by others or not the kind that are easily memorialized. Yet, John was the foremost advocate of independence in the Continental Congress. 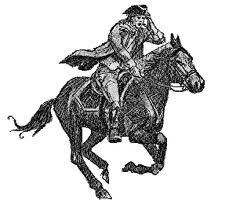 He was the workhorse appointed chair of the Committee on War and Ordinance, responsible for all decisions regarding the supply and deployment of the Continental Army. He was also a major negotiator of the peace treaty with Great Britain. He secured recognition of the United States by the Netherlands, signed a treaty of amity and commerce, and obtained important loans from Amsterdam bankers for the cash strapped new nation. Although out of the country when the Constitutional Convention met, he had crafted its framework eight years earlier when he wrote the post-revolutionary Massachusetts Constitution. Ellis’ account of Adams many contributions to the founding are too numerous to catalogue here. He served two terms as vice president under George Washington, but he will be remembered as the second president of the United States whose one term was marred by bitter infighting within his own Federalist Party as well as by attacks from the opposition led by his former friend Thomas Jefferson. He will also be remembered for having signed the controversial Alien and Sedition Acts, a mistake he would later greatly regret. However, a major achievement of his presidency was defying members of his own party, the Jeffersonians, and public opinion to peacefully resolve the conflict with France, avoiding a war the young nation was in no position to fight. Ellis does a masterful job of revealing the philosophical and temperamental differences that divided Adams and Jefferson. Jefferson, who often claimed the moral high ground for his political views, is revealed, to put it diplomatically, as ethically challenged in real life. 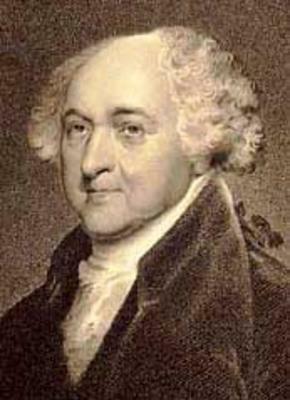 Adams, whose political philosophy was rooted in a profound understanding of human nature, struggled to follow a self-imposed strict moral code. He subscribed to Washington’s view that statesmen should be above the fray; interested only in doing what is best of the nation. A view that, as parties became dominant, prevented Adams from dealing effectively with the new political reality. It is also a sad story, evoking comparison to the ill-fated Kennedy clan. John and Abigail saw all their children but one buried. A daughter was still-borne during one of John’s prolonged absences. Nabby, the oldest, married badly and returned home with her children where she died of cancer at age 48. Charles, the second son, by all accounts a popular charmer, died of alcoholism at 30. His wife and children also sought haven with Abigail and John. Thomas, having shown early promise, gambled, suffered from depression, and drank excessively. He was a failure and died dissolute and destitute in 1832. Even John Quincy, the oldest son and 6th President of the United States, would suffer the grief of his youngest son, George, committing suicide at age 28. Despite personal and political tribulations, John and Abigail’s devotion to one another, to their children and their country, remained resilient and unshakable.